The MyMog App has launched! 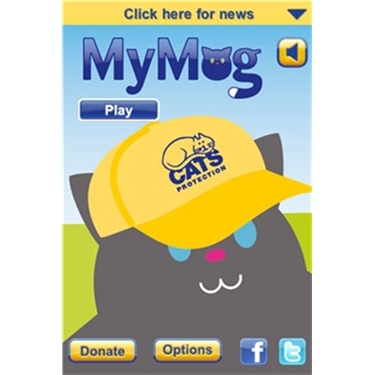 MyMog is Cats Protection’s iPhone application which promises to add some free feline fun to your phone! You can create and play with your very own perfect puss with MyMog! Design your dream cat by conjuring up all sorts of styles and fun accessories - you can even decide where to play with him or her! Take them to the beach, play with them at home – you can even party on with your mog on a special celebration background. MyMog loves to be tickled and stroked – if you get it right, he’ll let you know! Don’t forget to share your MyMog creation with your friends on Facebook and Twitter and get them to join in the fun! Or search for MyMog on the Apple App store home page.